What do you think should be done with the 1974-D Aluminum Cent, recently recovered by the US Mint? 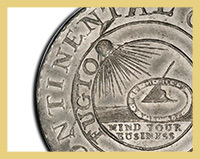 The subject of historical coins may seem dense to some, but it’s a fascinating world for others. Numismatic Photographer Phil Arnold has been putting together an animated book in the hopes of opening up the fascinating world of historical coins, specifically the history of United States coinage, to everyone. Here’s a glimpse at his project, complete with photographs and pen and ink drawings, that aims to appeal to a younger audience, as well as those with no knowledge of coins. President of PCGSCoinFacts.com and award-winning author Ron Guth updates readers on his continuing blog series on the renowned Lord St. Oswald Coins. In part VII of the series, Guth continues to note the current status and whereabouts of the Lord St. Oswald Large Cents. 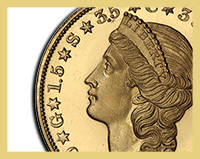 Grading coins is by no means easy, but some coins are considerably more difficult to grade than others. On the heels of our latest educational video, Coin Grading 102, Numismatic Expert Mike Sherman will hone in on eight notoriously difficult to grade coins, starting with Indian Quarter and Half Eagles. 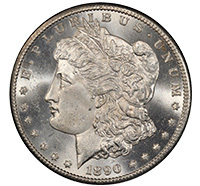 Legend Rare Coin Auctions recently announced the consignment of the extremely rare 1879 Pattern $20 Judd-1643, popularly known among numismatists as a "Quintuple Stella." 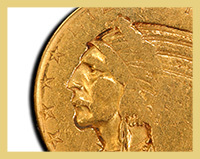 One of only a small number struck, there are currently only five accounted for, including one that is ensconced in the National Numismatic Collection at the Smithsonian Institution. This major, seven-figure rarity has an insurance value of $2,000,000. 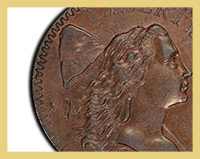 L&C Coins What do you think should be done with the 1974-D Aluminum Cent, recently recovered by the US Mint? 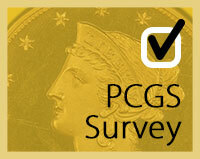 You have received this email as a subscriber to PCGS Newsletter. If you do not wish to receive future email communications from PCGS Newsletter, click here to change your email preferences.